Originally released last spring with its big brother the GeForce GTX 1080, nVIdia’s GTX 1070 has been a consistent top performer and seller for its entire lifespan. Arriving with a launch price of $379 (or $449 for the Founder’s Edition), the GTX 1070 served as the more sensible alternative to the $600+ GTX 1080. 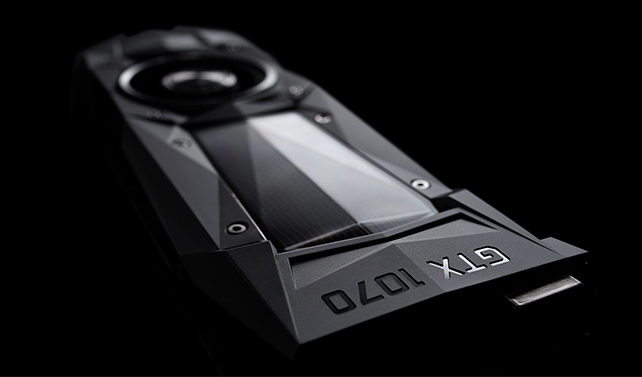 This past march during the reveal of the GTX 1080 Ti, nVidia announced price drops for the high-end Pascal cards, with the GTX 1080 sliding down to $499 and the GTX 1070 coming in at a lower $349. The GTX 1070 did well at that price until the cryptocurrency mining boom of 2017 drove prices up in excess of $500. New reports have nVidia releasing a refreshed version of the GTX 1070 that could result in a faster GPU or at least ease some of the price uncertainty surrounding the cards. Originally reported by VideoCardz yesterday and then reinforced this morning over at TechPowerUp, the refreshed GTX 1070 will have an increased core count that brings it extremely close to what is seen on the more powerful GTX 1080. The original 1070 uses 1920 CUDA cores compared to 2560 CUDA cores for the 1080. The new reports have the refreshed GTX 1070 sporting 2304 CUDA cores. In most games, there is generally a 20 to 30 percent performance gap between the two cards, but the increased core count, along with a clock speed bump and some faster ram, would help the GTX 1070 close the gap almost entirely. There are several reasons why nVidia would consider refreshing a card that still sells so well, finding it at a retailer near MSRP is close to impossible. AMD’s recently released RX Vega 56 is generally considered to be a bit faster than the GTX 1070 in the same price bracket, though it currently shares the same nightmarish price gouging and retail availability as its competition. It is possible that nVidia would want a product on shelves that convincingly beats the RX Vega 56 for a similar price. More than 18 months have passed since the GTX 1070 hits the store shelves and nVidia may have developed a way to produce the GPUs for a lesser price. Improvements and enhancements to production processes are a common part of manufacturing. If nVidia can reliably build a retooled GTX 1070 for less money, each card sold will bring in more profit. The company is no stranger to refreshing its entire product lines and has done so in the recent past. Almost the entire 700 series line of GPUs were refreshed or rebadged Kepler (GTX 680) cards. 1080 is inflated. We should be getting sales prices below MSRP at this point. You can't find a single card at MSRP right now. Sign me up when we get around to the 1180's!